Of course no one wants to be involved in a car accident. It’s a hassle. Everything from calling insurance companies and dealing with auto repairs to injuries is a hassle. While no one wants to be a part of a car accident, being prepared if ever one should occur is a must. Knowing what to do, who to call and how to protect oneself is crucial to all drivers. One of the most common injuries experienced by victims involved in a crash is pain in the neck or back region. Some may think this injury is cliché, but it is a valid complaint. Even the slightest of accidents can impact the spinal area. The weight and force applied to the spine during an accident is jolting and extreme. To maintain legal rights and take care of the pain, there are simple guidelines victims should follow. First priority is that the pain is addressed by a medical professional. If the pain is experienced at the scene of the accident, then it is essential to have the first responder assess the injury. Begin a log or journal on the accident. Include details of the accident in the log. Every detail from where the accident happened, what happened, pictures, witness information, or any other information that is pertinent to the accident should be logged. 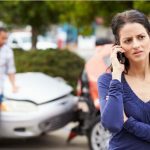 This information will come in handy if insurance companies have questions or if the accident is taken to court with a Los Angeles car accident attorney. Contacting an auto accident lawyer is a priority, even if it doesn’t seem necessary. While the details may seem clear and obvious, insurance companies are not always easy to deal with. Having an attorney will help ensure that claims are paid and the driver at fault is held accountable and a Los Angeles car accident attorney can help.